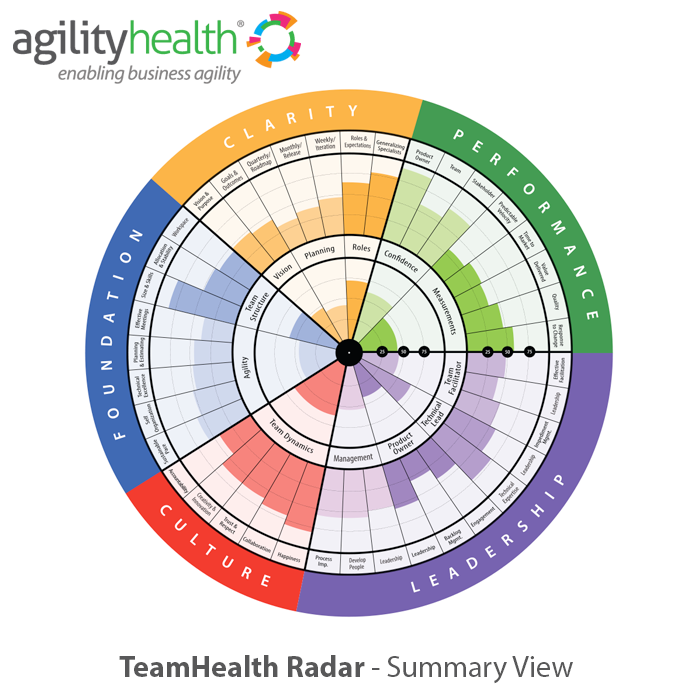 The popular TeamHealth Retrospective is delivered as a facilitated Retrospective session by a certified AgilityHealth Professional. Enables growth at the Individual level. Role based 360 assessments provide actionable feedback for where an individual needs to grow. Enables growth at the Team level. This backlog contains Team Growth and Organizational Items for leaders to address. Enables growth at the Line of Business, Program or Product levels. This backlog contains Organizational Items from sub-teams and Enterprise Items for executives to address. Enables growth at the Portfolio and Enterprise levels. This backlog contains Enterprise Growth Items from all levels of the organization.